A longtime Dodge dealer on Route 70 in Brick that closed its doors last year will reopen as a new dealership following a renovation, according to plans filed with the Brick Township planning board. The new owner of the property, according to board documents, is Selman-Savino Properties, LLC, a holding company that – according to public records – is run by members of the Selman and Savino families, who own the All-American chain of car dealerships. All-American purchased Weisleder Ford and Weisleder Mazda several years ago and, in 2016, proposed building a new dealership on Burnt Tavern Road. Construction, however, never began and project appears to have been abandoned. 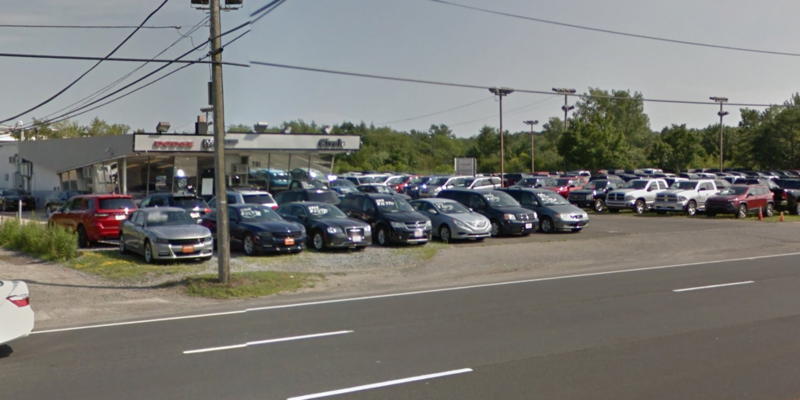 The company is proposing keeping the former Circle Dodge site, located at 781 Route 70 at the confluence of the highway and Brick Boulevard, operating as a car dealership. Several minor bulk variances are required for the project, including parking space width, a berm around parking areas, and a minimum of five feet between certain parking spaces. The planning board filing did not indicate what make of car is to be sold at the dealership; the notice simply states “used and/or new” vehicles would be offered for sale. A hearing on the proposal will be held at the Sept. 26 meeting of the planning board, which begins at 7 p.m. at the township municipal complex.